Ever since Sergey Brin’s Ted Talk on Google Glass hit the web, wearables have become the most talked after technology. And why not? 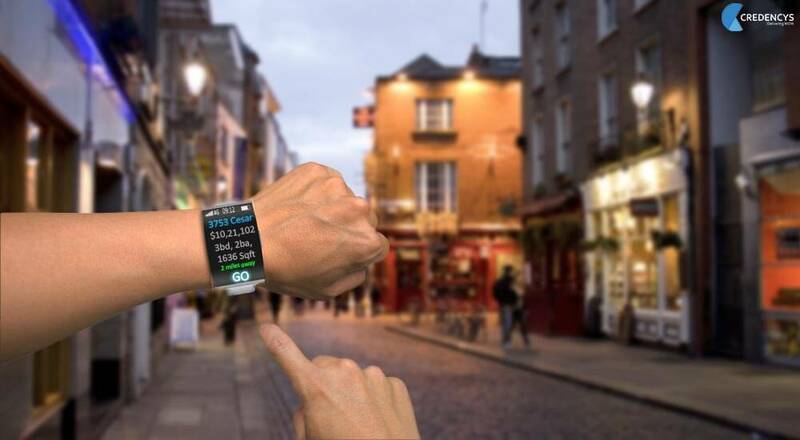 Swedish Market Research Firm Berg Insight predicts that the wearable shipments will hit 168 million units by 2019. Technology has always made our lives better, hasn’t it? While 2014 saw half of the world talk about Wearable, 2015 will be the year of mass adoption. Whether it is smart glass, smart watch or a clothing accessory, wearable will have a dominating presence in our lives this year. Back in 2012, the wearable market was valued at around USD 75 million but come 2018 and the market will explode to a whopping USD 6 billion. 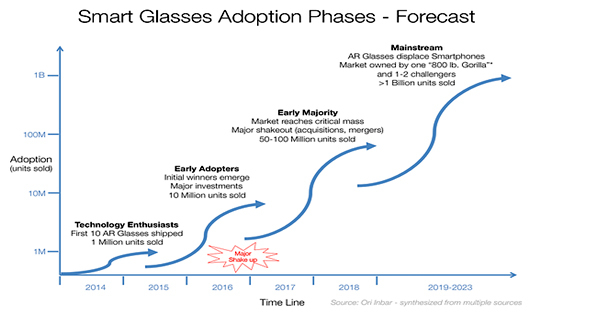 If we talk about smart glasses, its shipment is estimated to be around 1 million by this year’s end. At the end of the decade, the shipments are expected to cross 1 billion. Despite the rumors that Google Glass will be dead, the shipments of smart glasses will show no signs of slowdown. Because, it’s pretty clear that whether it is an enterprise or a consumer, there will be no one who will not be impacted by this technology. Whether it’s healthcare or real-estate, industries are gradually realizing how wearable are impacting the way they do business. And, even marketing one’s product/service is not left untouched by wearable. To understand, how wearable will impact marketing, how one can utilize the power of wearable for real-time marketing, we will consider the Real-Estate Industry. Realtors and agents who have now realize the importance of having a mobile app to help prospects search their dream properties might find themselves a bit overwhelmed. For those who have just started with mobile technology, wearable technology might lead them to scratch their heads. However, as a real-estate agent, if you want to get ahead of the pack, you should start contemplating on how you market your business differently. The hi-tech times ahead will test you brutally because just having a website or a mobile presence won’t be good enough. Plus, with prospects, today, becoming more informed than ever, you risk losing your business if you don’t stay ahead of times and become an early adopter of technology. With so much of competition brewing up in the real-estate market, how do you get your business/brand known to your prospects? There are countless, ruthless sharks waiting out there in the deep waters to eat your share. Remember, these are the times when your competitor’s site is just a click away. The way you market your business needs to be changed. Gone are the days, when you would just sit in your office and expect prospects to come over, inquire and buy properties. A little arrogance from your side, and your business goes to the graveyard. The way your prospects feel when they interact with your brand matters the most. The way you make them feel about upcoming properties determines whether they will buy or not. Remember, purchase decisions are based on psychology and emotions. Information certainly plays a role in buying but deep inside there are the wants, needs, and concerns of prospects waiting to be addressed. The entire experience of you showing them under-construction properties is going to play a huge role in deciding whether their core needs are addressed or ignored. So, how is wearable going to help you solve this problem? Let’s get going and enter the 21st century of marketing your real-estate business. Let’s say your prospect is wearing a smart glass and has your company’s app installed on his/her device. When he/she enters a particular area, targeted information can be sent on the device relating to houses that are available for sale in that specific area based on their choice. It’s like you have a virtual assistant with you which gives you information that’s rightly aligned to your needs. When a user steps into the area where she/she needs to purchase a property. With your app installed on glass, they can view your 30 second powerful elevator speech. It helps you deliver personalized messages to your audience as per their convenience and preference. Trulia is a classic example of this. The Google Glass App looks for property listings in a database, matches a user’s search preferences and renders data on the glass.preferences and renders data on the glass. David Nichols rightly said, “If you use the standard research methods you will have the same insights as everyone else.” Today, just tapping into the location of your prospect won’t win you games. It’s a standard practice that everyone follows. But, in order to understand and woo your prospects, you need to tap into their emotional state too. Wearables come equipped with minuscule sensors that give you insights on a user’s response while purchasing and using your product/service. Tracking such metrics in real-time will obviously help you deliver more impactful marketing messages. Imagine this scenario. As a real-estate agent, you are wearing a glass. You get a call from a property-seller. You visit the site, take a video of the property in real-time and help evaluate its price. With glass by your side, you can create advertisements in real-time, push your messages on social media platforms with voice commands. And, all this happens in minutes as opposed to hours, wherein you go back to office, evaluate the property and send in the price details. Then, hunt for a buyer and blah blah. Wearable like smart glasses helps you quote in real-time to a customer, reducing the turnaround time and thereby increasing the possibility of you making revenues quickly. From managing and tracking your marketing campaigns to talking to your prospects and existing customers in real-time, wearable applications can turn your company’s fortunes like never before. However, the path you look to tread can be quite challenging. The things discussed here are not as simple as they seem. Remember, your prospects will keep you in mind, based on the initial experience you have delivered. The user experience has to be given the prime importance because if it’s intuitive and seamless, you have won your prospect’s heart and if not they will discard you without a second thought.